A friend of mine was six months ahead of me in pregnancy, actually not too far from giving birth when I finally had my positive test. She had started posting pictures on Facebook of the cloth nappies that she was buying for her little boy and they were seriously cute. It was not at all what I was expecting, so I started looking for more information and it wasn’t long before I found some figures showing how much money I would save which was a huge factor in the beginning. I was determined to save money and the idea of spending £10 a week on nappies was more than a little daunting. I started researching cloth nappies and I soon found myself in way over my head; the vast amount of information out there about different brands and styles of cloth nappies can be incredibly overwhelming. It can be conflicting and sometimes biased towards companies that can pay more for advertising because their websites will come up first time and time again. 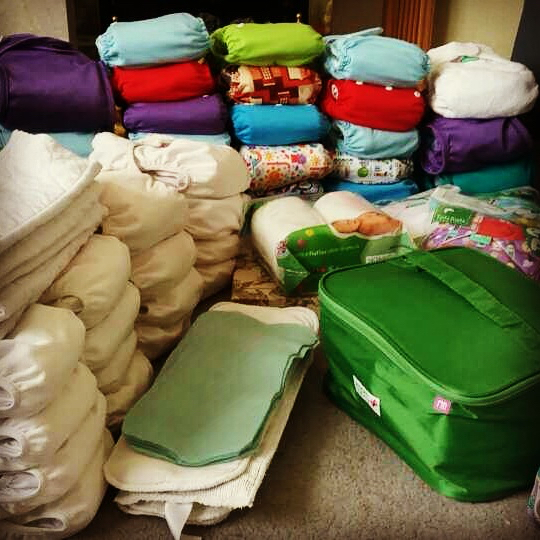 At the time, I didn’t have access to a cloth nappy library near me and I had no idea how easy it was to buy preloved cloth nappies. I spent a few days solidly sat at my desk, reaching over my growing belly, trying to decide which nappies to buy. By this point I was about 80% sure I wanted to use cloth but I was (naturally) scared about making a relatively big investment before knowing if it really was going to be manageable for me. Spoiler – it’s totally manageable, even with my Fibromyalgia. Ultimately, I made a fairly good decision on what to buy but not really the best for us – I decided to go with all one type of nappy that turned out to be a bit too big for my tiny newborn. In hindsight, I should have chosen a couple of different types and some smaller sizes. But the decision was made and it was by no means a bad one, we just had to wait a while before we could use our gorgeous nappies. 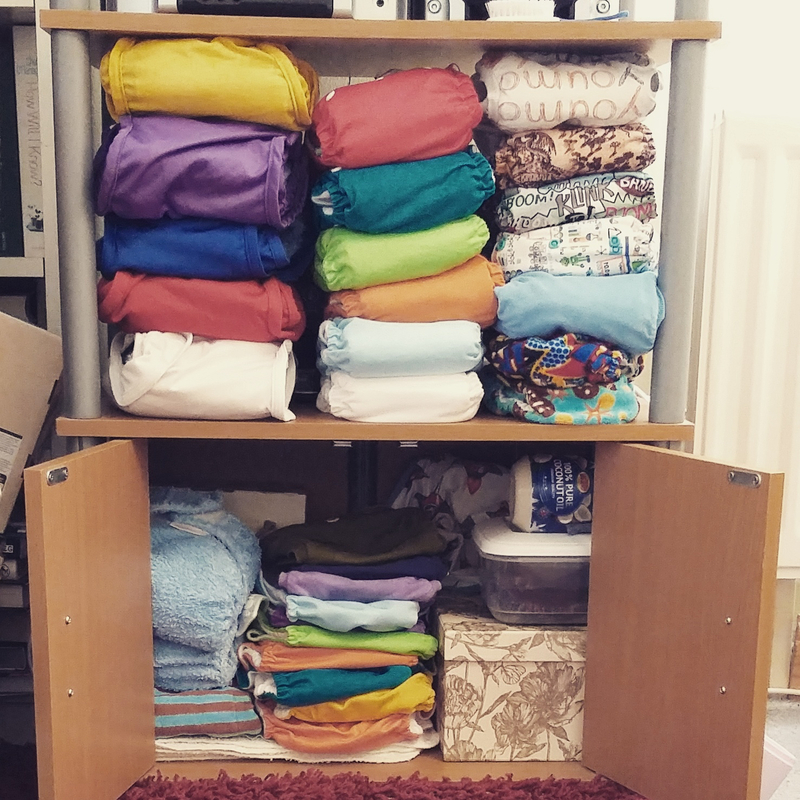 I have since started a cloth nappy library to help other parents use cloth and make their choice a little easier. You can find your local cloth nappy library on this website: http://www.uknappynetwork.org/find-a-library.html and if you don’t have one near you there is no reason not to contact whichever library is your closest for impartial advice, us librarians are a friendly bunch and a little nerdy about nappies – we’ll talk endlessly about nappies and most other reusable products to anyone who’ll listen. My son’s nappies and my first set of library nappies. 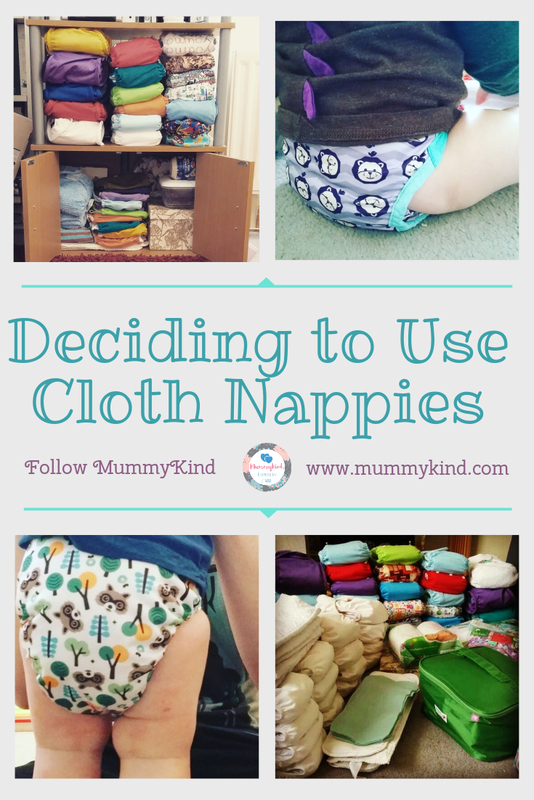 I will, of course, be writing more about cloth nappies in the future and writing some reviews (and maybe even hosting a giveaway!) but this was just a little insight into how I came to the decision to use cloth for my little guy. Next Post International Women’s Day 2018: Why didn’t girls vote in the first place?